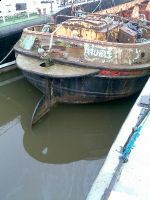 The Humber Keel was a type of sail craft used for inshore and inland cargo transport around Hull and the River Humber, in the United Kingdom, through the late 19th and early 20th centuries. 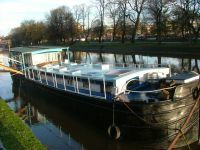 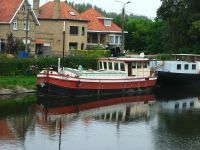 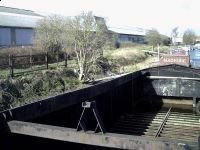 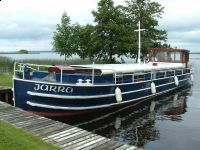 Jarra was built in Cheptow, England in 1912 and was brought to Ireland to trade on the Barrow Navigation as a grain boat trading between Waterford Port and the grain mills at St. Mullins in Co. Carlow, and was powered by a steam engine. 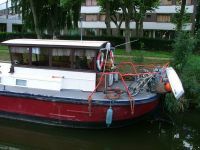 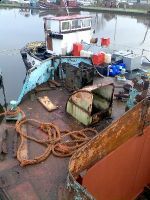 She is a riveted iron hull, overall dimensions 65ft x 13ft 6 ins x 3ft draft.